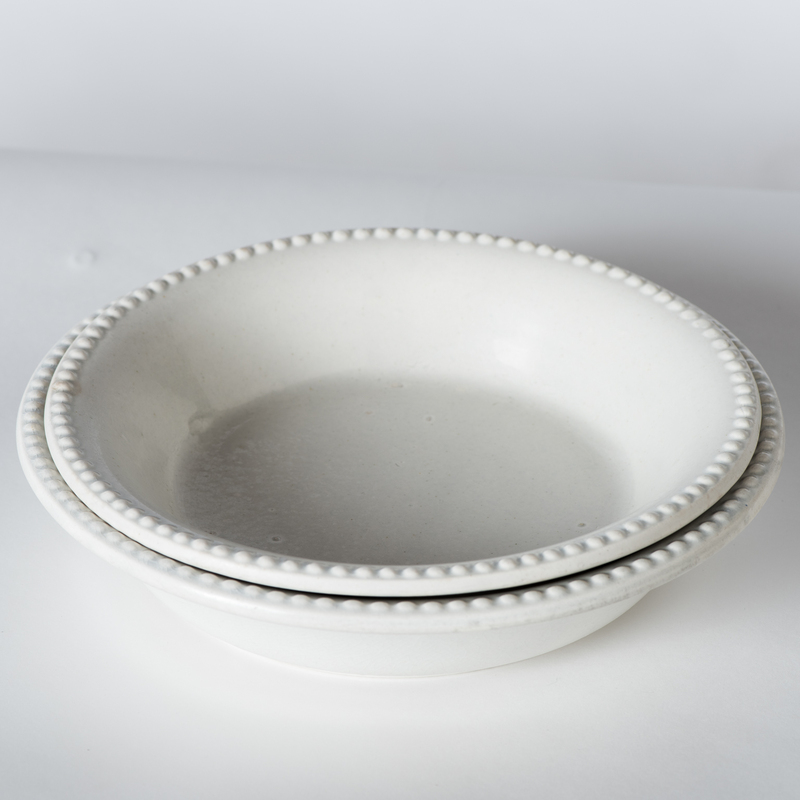 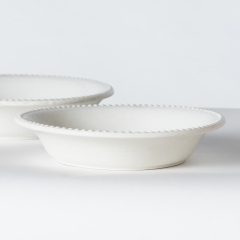 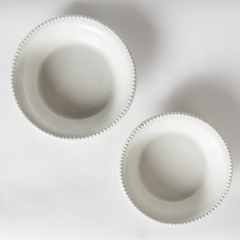 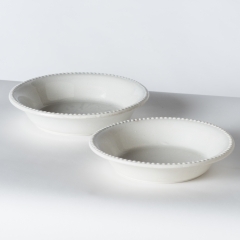 These two unusual open bowls have the added decorative element of elegant dotted rims. They are sometimes called potato bowls but can be used to display seasonal fruit or as a salad bowl. 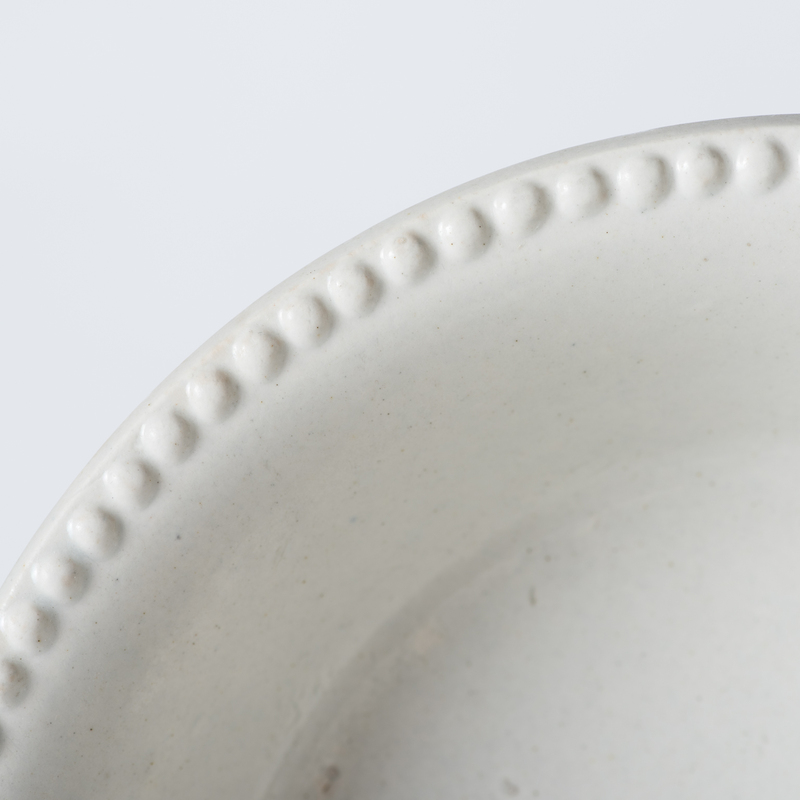 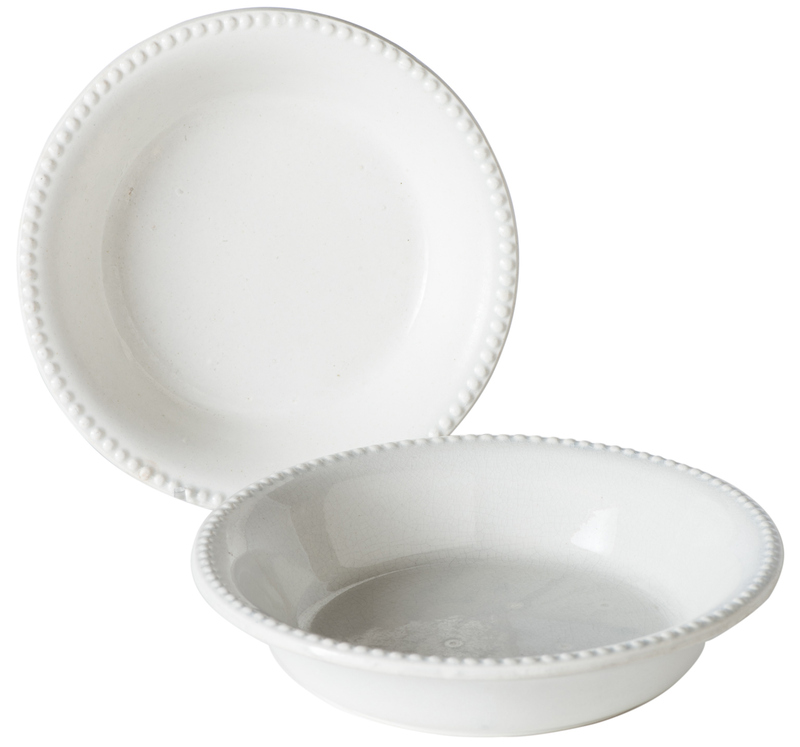 Smaller bowl measures 11” diameter, 2 ¼” high, the larger one is 12” diameter and 2 ½” high.